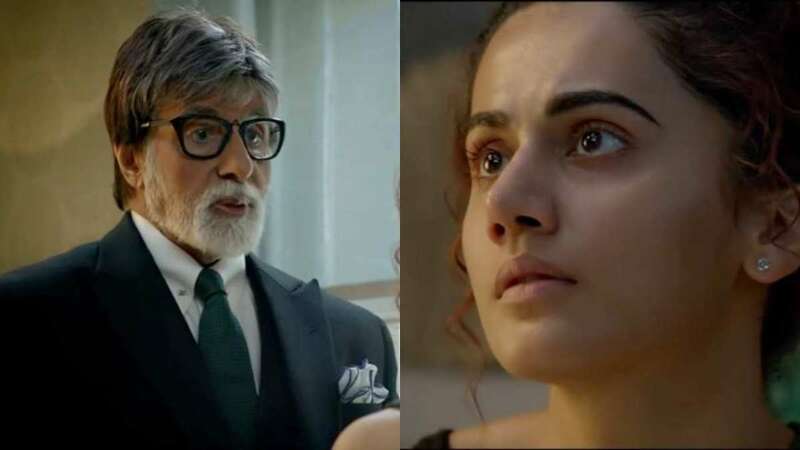 New Delhi : After making people go wow with their performance in Pink (2016), Amitabh Bachchan and Taapsee Pannu are back with yet another gripping intense drama - Badla. The trailer for the movie has been released. Megastar Big B shared the trailer via his Twitter handle and wrote, "Sach nazar ke saamne hai, par nazar jhooth par hai . Watch the twisted truth trapped in a web of lies in the #BadlaTrailer." The trailer revolves around a murder mystery, where Taapsee Pannu is the prime suspect; Amitabh Bachchan is trying to save her by solving the mystery. The intriguing two minutes 21 seconds trailer shows Taapsee's character in a locked room with a dead body, a lot of money and her hands covered in blood. What remains to be seen is whether Amitabh's character will be able to solve the mystery. Helmed by Sujoy Ghosh, Badla is a remake of 2016 Spanish movie 'The Invisible Guest'. Badla has been slated to release in theatres on March 3.